We can always use some more elven furniture, thank you Lethe! 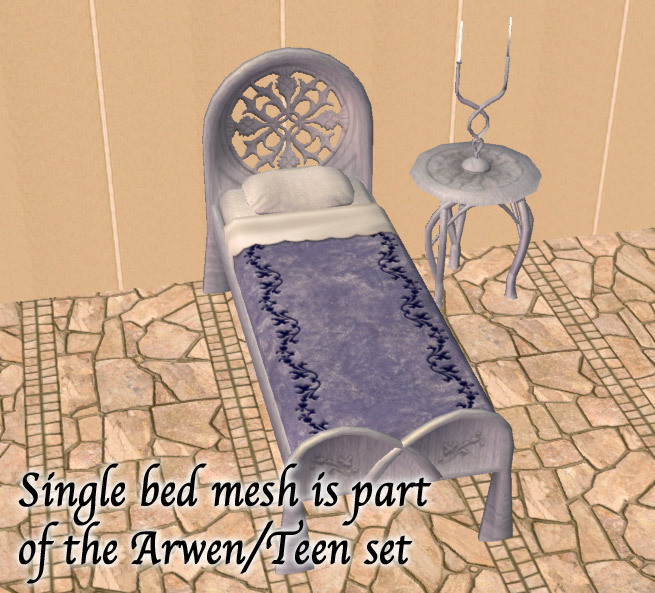 This set coordinates with (and adds a bed to) the 'Arwen' bedroom set recolors I created. 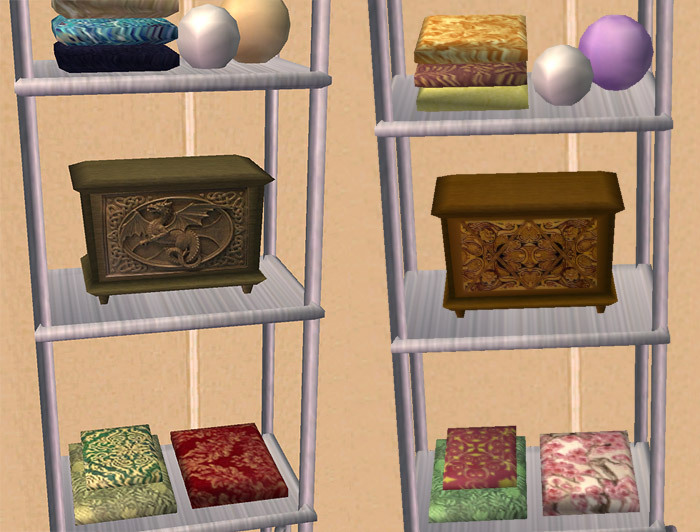 This set contains 2 recolors for the elven bed, 2 bedding sets, an endtable, the floorcandles (which also recolor the other candles), the tall dresser, and 2 recolors of the dresser objects. 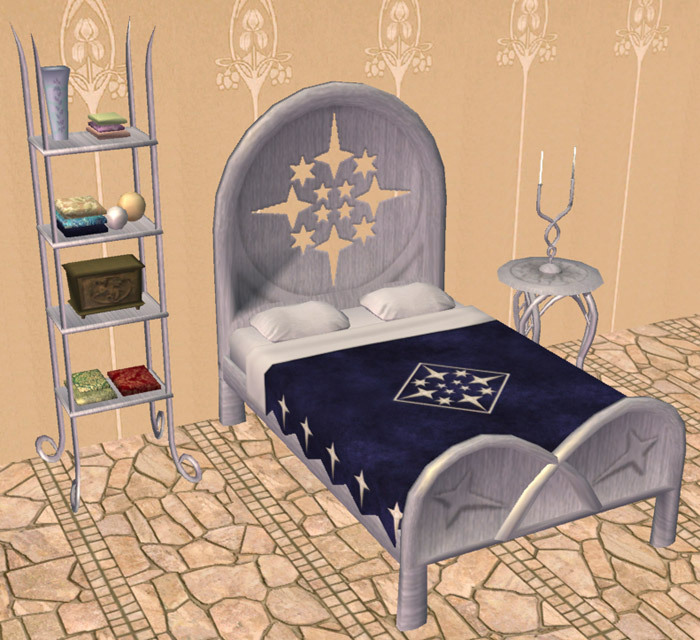 This set requires the Elven Bedroom Set by Lethe_s, available at modthesims2.com. Check my account for matching dining room, and there's a second bedroom with a lot more furniture and a single bed for this set here . Put these into your downloads folder. Do not fold, spindle, mutulate or sell. 845 people have said thanks to tiggerypum for this download.